The top social media marketing channel based on our survey results was search engine. It performed extremely well as a channel to improve brand or service or product awareness, as well as a channel to improve conversion rates from potential leads to actual customer engagement. As these results indicate, some of the more popular and initially perceived important social media channels like Twitter, Digg, Reditt, Stumbleupon received lesser votes in confidence when it came to actual performance in terms of a channel to increase service or product or brand awareness. As is evident from the results of the graph, the top resource, as perceived by the social media marketers in both cases are search engines. This was closely followed by Facebook and Youtube. However, some of the more popular and initially perceived important social media channels like Twitter, Digg, Reditt, Stumbleupon received lesser votes in confidence when it came to actual performance. Maybe since these are perceived as more of a media for capturing interesting sources of stories and / or multimedia, they are losing their importance as channels of social media marketing. Do let us know what are your feedback about the social media marketing channels. How do YOU draw traffic to your blog? Is that a sustainable source of traffic or does that depend on daily marketing efforts and link exchanges amongst colleagues to promote your content? Do let us know. Is the title giving a blow!! You must be thinking what is this!! “Am I SICK?” No, I am fit and fine. Who says I am sick !! Whoever is telling, he is sick!! And why I will be!! –No Not All.— I know this is what is going on in your mind – am I right!! Let’s give some time for ourselves. Let’s realize ourselves. Let’s give a blow in our inner mind- let’s give a shock in our everyday behavior. I am telling you- you will find yourself in ICU. Shocked !! I know you are. But this is a bitter truth. Trust me- find out some time for analysis. See who you are, what you are doing, how you are doing and for whom you are doing. Are you actually working!! Working hardly or smartly!! Or just running after money. Dream is big money- big house- costly car; A luxury life. If you are already enjoying- still you want more!! Right!! And if you are a struggler or gradually making your career- still dream remains the same. Going through the same rat-race. Right! Have you ever though to find five minutes for the needy person standing beside you! Have you ever extended your hand when you saw a blind person struggling to find his way on the road where you just passed him giving a veered look? Have you ever gone to help the person who just met with an accident!! Probably No. And if at all your friend suggested going, you said No No!! This can be a police case!! So let us be safe and keep ourselves away. I know you are remembering when you did that. Probably you thought to go but your friend suggested the same. Right!! Have you ever thought to just get up from the seat and let the old person sit there –who is just standing beside you!! You are just happy that somehow you managed a seat. Good if you have done. But probably you will find the answer ‘No’ if you ask yourself. You must be thinking – how does these make a difference in your life. Your life is cool- and it will be as cool as it is. Right!! You are absolutely right. And if you are thinking in this way- you can’t be blamed for this. Because the value system you are in or the value system you are inculcating into your next generation – this is quite natural. You don’t have time. But think once. Instead of the person met with an accident; you have met with the same accident! And people are reacting in the same manner and you are just lying-down helplessly on the road. How will you feel!! Good !! !! No ; right!! You will expect help from the persons probably whom you did not help when they required oneday!! Right!! If everybody will think the way you think- then imagine what will be your situation on the road after your accident. But do you think that you were not capable of helping the person. Were you sick that day!! You were too sick to talk with the person or hold the hand of that blind person!! No !! But Yes – I will say- you were SICK. Mentally you were SICK. Otherwise a healthy and Ok mind would have instructed you the right thing. Your mind would not have stopped you from helping. Or your mind would not have stay untouched in spite of seeing the blood-stained person lying on the road. It clearly shows that we are fine, but our mind is not. It’s not well. It’s SICK. Find some time to think. Think – are you doing right!! Think are you inculcating the right value into your kids!! Because if you are giving such value to your child – definitely when you will require help, the person who will be standing beside you probably with the same value like your kid- will not help- because they never realized this thought. It’s never a late. Beginning of anything is good. Let’s think and start realizing. Let’s start making a difference. Let us take our society towards a better one- a cultured- value added healthy and humane society. Brief Profile of Author : Amitava Pal is a Software Engineer and XLRI Alumni. His special areas of interests are Human Psychology and Soft Skills. He has been writing papers since 2005 and the papers have already been published in India and Abroad like University of California, Bonn University Germany and so on. He is currently writing a book on “Typical Human Psyche on Differential Behaviour”. In this report we try to provide some information of the Indian Telecom Sector in June, 2011, based on secondary research. The boom phase for Indian telecom market continues to thrive on the availability of cheaper telecom services alongside an aggressive marketing strategy by the service providers. The growth phase is panning out across India and is not just limited to urban India. While the customer satisfaction has increased substantially in 2010 and 2011, as per a survey done by TRAI, the profitability of the sector has decreased substantially in 2011. While the market continues to be led by Bharti Airtel, in terms of market share by revenue, it is closely followed by Vodafone and the relative younger player, Idea Cellular. BSNL is continuing to witness a sharp decline in its subscriber base, with probably the highest ever telecom churn in the industry. One of the major causes while the telecom operators have seen such a mixed bag of fortune is due to the introduction of the Mobile number portability (MNP). Due to the introduction of this service via regulation, customers will be able carry their mobile number across service providers in India. The biggest affected service providers had been Reliance and BSNL, while Airtel has been the leading gainer from this exercise. Typically marketing of services is done following the services marketing mix using the 7 Ps framework unlike the marketing of products for which the marketing mix involves the 4 Ps framework. Today, marketing has evolved over time into a discipline of its own. Over time marketing managers have realized the sustainability of pull marketing than the traditional approach of push marketing strategies. The initial movement in marketing strategies was from a direct marketing scenario to brand marketing. In direct marketing, the marketing managers typically had a role of sales managers and the most important strategic focus was to ensure a incentive structure for the sales force, both internal salesmen and external salesforce (dealers, retailers, distributors) such that the one-to-one marketing could be done at the point of sales. However, it was realized that if a fraction of the sales force deviated or moved to another firm, the entire customer segment was lost to the business. The face of the product or service was essentially the sales force. Now as services gained in importance, it was realized that the differentiation of services was even more difficult based on tangible features like that of a product. This was when brand marketing started getting its due importance, where a pull strategy was implemented so as to “pull” the customer to the product or service based on his perception of the quality of the same. However, with services gaining prominence over time, it was realized that the very definition of services was evolving as more and more services were being focused on internet or info-tech based services where direct interaction with the customer was lost. While branding definitely ensured that the customers develop a brand association with the service, sometimes the nature of the service is such that the essence of the service is a transactional one. So brand marketing focus gradually started to shift towards customer engagement and the benefits of social networks started getting conceptualized. This paved the way for the next generation of marketing, namely marketing using social media. Since services cannot be differentiated purely based on features on offer, the major differentiation to create a brand association and thus customer engagement, is through tapping the social networks. In the internet economy, social networks are getting increasingly dominated by social media and thus marketing managers of even larger traditional “brick and sell” firms have started recognizing this fact and focusing their efforts on social media marketing. The 7 S framework for digital marketing started gaining in prominence for services marketing strategists. While the dynamics of a pure internet marketing strategy is slightly different, the essence of the same has been captured in more comprehensive frameworks on digital marketing, which have been derived purely through the theories based on economic rationality. Over time, it was realized that social media is perhaps the biggest tool today to lead a brand marketing strategy for many of the services and product categories, since in both cases, the target segment often uses the internet as a source of information (through websites or though the personal social network) while deciding on a service vendor. It is at the point of information search that social media marketing can create the largest impact and thus builds its reputation for having a high impact on “brand recall” at the “point of purchase”. Do let us know if you have any feedback regarding this article. The ranks of the top engineering colleges are out again. This time this is on the basis of a study conducted by Careers and published on Yahoo. While most of the rankings appear genuine, this list is very crucial for all the engineers wanna-be-s who are scouring for a college where they can kick start their professional career as an engineer. While as always the ranks in the top are heavily dominated by government colleges and institutes like the IITs, Jadavpur University, IT-BHU, the BITs and the NITs, the top-50 listing is a roll call of excellence India’s top 50 engineering institutions in 2011. A balanced scorecard methodology was used to cluster the top ranked institutes (colleges and universities) after checking the last five year rankings of about 241 colleges and normalizing heir ranks, by assigning differential weights to subjective and objective ranking criteria, as is the standard in such studies. Such a process has been used to develop clusters of institutions which have similar performance against those criteria. So before jumping into where you may be targeting, while joining up for your graduate course in engineering, do check out this list. For where you pass out from not only affects how well you learn your discipline, but also the kind of career track you can expect after passing out of the hallowed portals of your Alma Mater. Today, in this world of information processing, business intelligence and business analytics, are gaining in importance very fast. The three major techniques or groups of algorithms which have gained a lot of visibility in recent times are fuzzy logic, neural networks and genetic algorithms. In this article, we discuss in brief about the possible business applications of genetic algorithms. In general, genetic algorithms find their application in problem domains that have a complex fitness landscape with many criteria with divergent needs or fitness function curves. Typically, genetic algorithms find application in computational science, engineering, manufacturing, phylogenetics, bioinformatics, economics, chemistry, mathematics, physics and other related disciplines. The most popular application of Genetic Algorithms is in the field of Search applications. Mostly, in such search techniques, the end objective may be an optimization function where the genetic algorithm may be applied for Fast Search through a huge pool of possible solutions so as to find the most optimal solution fast, without compromising the fitness of purpose too much. Similarly, problems which are often solved using genetic algorithms include time-table scheduling and job-scheduling problems. Many scheduling software packages use Genetic Algorithms as a predictor model. GAs have also been applied to classic engineering disciplines besides the information technology, communications, telecommunications, electronics and semiconductor industry. Genetic algorithms are also popular for usage as an approach to solve global optimization problems. Some of the other popular applications of Genetic Algorithms are in computer-automated design, artificial creativity, automated design of industrial equipment, design of mechatronic systems, in the financial services sector, design of multi-objective decision making problems, bioinformatics, quality control, operations planning, chemical kinetics, clustering, code decryption, configuration applications, design of distribution systems, control engineering, computer network design, gene profiling, electronic circuit design, economics modelling, scheduling applications, marketing mix strategizing, molecular research, neural network based applications, software engineering, data compression, plant floor layout planning, and so much more. By the way, did you read our article on the application of Fuzzy logic and Fuzzy set theory. 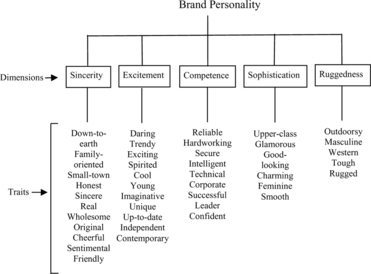 Brand personality refers to those human personality traits (sometimes developed cognitively) which are developed harmoniously with a brand, whether it is a product or a service. While branding a product or a service, especially if it is new, or is being launched in a new market, or is getting repositioned in a new or existing market, in depth understanding of all the dimensions of Brand Personality is of utmost importance to the product or service manager or the brand manager. Consumers often describe products or services offered as brands (more often than not in their sub-conscious level of comprehension or brand association) by using descriptors of certain common personality traits. Marketers attempt to use this consumer behavior to create or reinforce these perceptions through strategies involving brand positioning or unique re-positioning. Now successfully positioning (or re-positioning) a brand’s personality within a product category requires the application of multiple measurement models and frameworks. This is to ensure that the branding manager can successfully disentangle a brand’s unique personality traits from those generic traits that are common across all the other brands in a similar product or service category and also from amongst its substitutes. The dimensions of Brand Personality was initially proposed by Aaker (1997) in his famous brand personality framework consisting of 5 dimensions of every brand that impacts cognitive branding, brand association and brand recollection. Again brand association appears to partially mediate the influence of the competence dimension of brand personality on brand attractiveness. The 5 main dimensions of brand personality are Sincerity, Excitement, Competence, Sophistication, Ruggedness. Consumers perceive sincere brands as being honest, not-exaggerating, truthful, and cheerful. Similarly consumers perceive exciting brands as being daring, adventurous, high spirited, imaginative, and somewhat with a sharp cutting edge (especially for certain technology gadgets like the Play Station). Consumers perceive Competence from product or service reliability, deliver-ability and from the success symbols from a brand. A brand that is perceived to be sophisticated is viewed as being charming and associated with a higher snob value and thus fit for the upper society, or to fulfill higher order needs from Maslow’s hierarchy of needs. Similarly rugged personality brands are perceived to have the features of being outdoorsy and tough. Generally speaking, brand personality is likely to be more difficult to imitate by competing brands and substitute products, than more tangible product attributes or service level dimensions. So marketing practitioners have the advantage of using it more suitably to achieve more sustainable advantages (Ang and Lim 2006), for creating product or service level differentiation and positioning, which in turn ensures a Pull strategy and is more sustainable in the long run. This also creates the highly sought after greater Brand Equity, something for which in current times, branding and advertising managers spend millions (if not billions) of dollars upon. Now, since high brand equity tends to occur when consumers have numerous positive and strong associations, either in the conscious our sub-conscious level, related to the brand. Brand association, which is defined as “anything linked in memory to a brand” is one of the major components of brand equity, and is greatly affected by the brand personality dimensions. Brand association, not only results in high greater brand awareness but also creates greater brand recall and so has a distinctively positive correlation with brand equity since it can represent brand quality and brand commitment. These in turn creates the initial platform for any product or service brand to harness the strength to pull consumers, i.e. implement a pull strategy. Now brand name recognition with strong brand association can successfully developed through a carefully planned and panned out long-term marketing strategy, which involves activities like advertising, public relations, customer need identification, pricing, understanding evolving market dynamics and subsequent product or service offering modifications. No wonder today, multinational companies and business firms are investing millions and billions of dollars in advertising and other forms of marketing communications in order to create greater brand awareness and also greater brand association, so as to be able to implement a pull strategy. With time a more detailed brand personality structure evolved as managers attempted to understand the requirements of branding activities better through greater focus on consumer behavior. By the way, do you know about how to create a marketing plan in a structured manner? Also, Have you read our article on the Marketing Mix or the 4 Ps of Marketing?